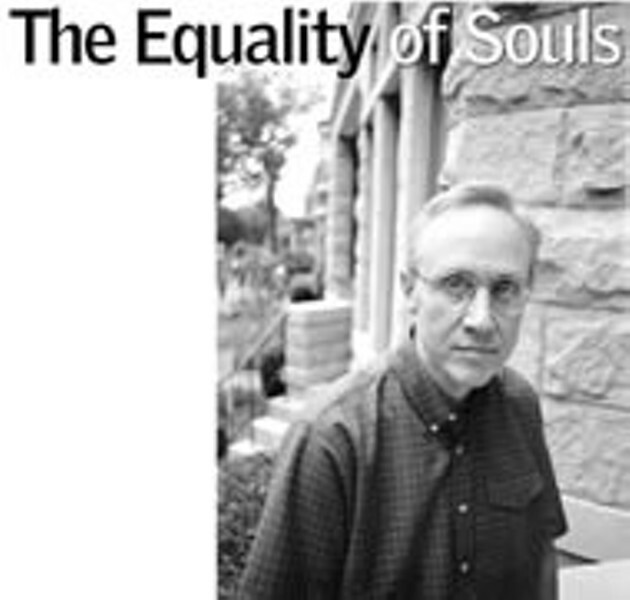 Take Five: Equality of Souls | News and Features | Style Weekly - Richmond, VA local news, arts, and events. Philip Schwarz discusses the relationship between Christianity and slavery. What sort of Christianity did black slaves shape for themselves in America? When one thinks about Christianity in the slave states, there were two kinds, and the traditional distinction is between the "visible church" and the "invisible church." "Visible church" would be those people in slavery who attended white churches or even were a large part of membership in Baptist churches but who had to defer to the leadership of the white people. Whereas the invisible would be everything from small prayer meetings to the hush harbor ... that was a practice that some engaged in ... secret meetings and to have their own kind of worship. What in Christianity might have encouraged debate about slavery? Two things to be said there. Christianity was a mere 17, 18 centuries old by the time some Christians confronted slavery. So, first question is: How did Christianity change ... in order to allow this to happen? And one answer is, the more radical Christians like the Quakers led the way. And then some Methodists and Baptists ... also started leading the way, although some pulled back. that belief in natural rights and the rights of human beings to their own Christian faith. And from there, they went to the question of the equality of souls. Would they be equal only in heaven or would they be equal here? How did slavery in places like sub-Saharan Africa differ from that in the West? A key difference was that ordinarily it was not racial slavery ... it was a family-based institution so it was easier to achieve freedom. The conditions of slavery could often be less harsh because these people were differentiated with less intensity than were African-Americans here. Why does slavery persist in Africa? Well, because people make money from it. It's not free labor in the sense that you don't have to pay anything for it, but it's a lot less expensive than having wage laborer, when you have control over them. Why is this discussion so important for Americans to hear? Because, in part, only some people deemed it important before and a lot more people deem it important now. And that's partly because of the successes, not complete, of the civil-rights movement, of the literature, nonfiction and fiction, and films like "Amistad" and "Beloved," which even though they didn't have a big box office, still were part of the changed climate where people are more willing to consider the nature of slavery and try to understand why there is still so much free-floating anger or denial. When one looks at the overall history of Christianity and slavery, does Christianity ultimately show a redeeming face? The four-part lecture series, "Christianity and Slavery," runs each Tuesday in September, starting Sept. 3, at 7:30 p.m. in the commons of Westminster-Canterbury, 1600 Westbrook Ave. For more information call 264-6203.